[prMac.com] Hagenberg, Austria - PopChar X 3.4 offers new search feature for unknown special characters. Ergonis Software today announced the release of PopChar X 3.4, the popular tool for finding and typing special characters. The new version offers an enhanced search feature that lets you easily find special characters by name, Unicode number, or by example. A new context menu supports copying selected characters to the clipboard in various formats. Finally, the new release offers an automatic update checking system and improves compatibility with Leopard and popular applications like InDesign, Illustrator, and Excel. "If you are dealing with texts containing foreign characters you often come across characters you haven't seen before. You don't know their name, their Unicode number, and particularly not how to type them on your keyboard," said Christoph Reichenberger, founder and CEO of Ergonis Software. "Now all you have to do is to copy the characters in question and paste them into PopChar's search field. PopChar will instantly show you all the information about these characters, including how to type them on your keyboard, if at all possible". PopChar can be purchased securely on the Ergonis Software website. 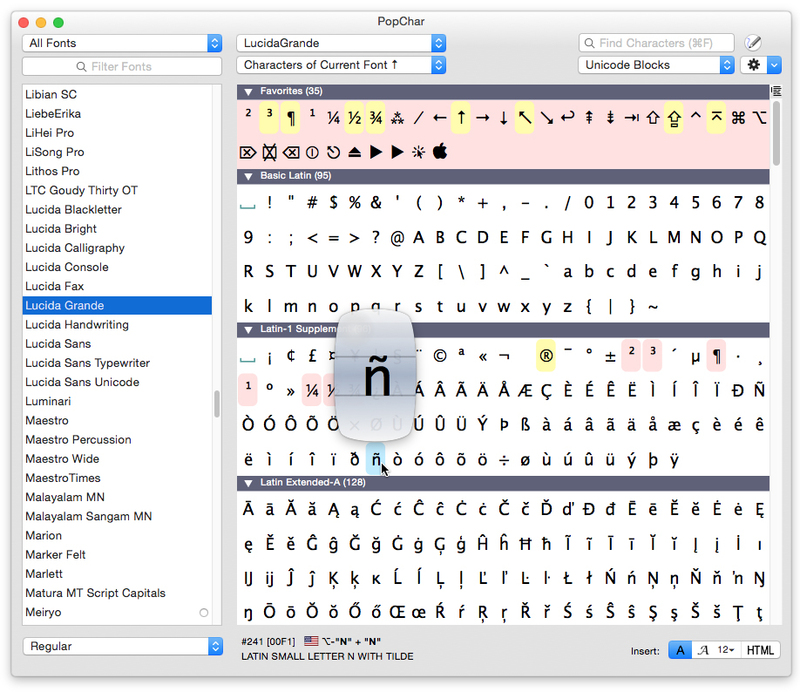 The upgrade to PopChar X 3.4 is free for anyone who purchased PopChar in the last 2 years. For information about purchases, including enterprise licenses, volume discounts, and upgrade pricing offers, visit Ergonis Software's website. Instead of purchasing PopChar by itself, customers can get the Macility Productivity Bundle that also contains two of the company's other productivity tools, Typinator and KeyCue. The pricing of the Productivity Bundle represents a saving of more than 35% over the separate purchase of its components. More information about the Productivity Bundle can be found at Ergonis Software's website.